PRATT, H. D., P. L. Bruner, and D. G. Berrett. 1987. 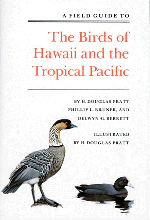 A field guide to the birds of Hawaii and the tropical Pacific. Princeton University Press, Princeton, N. J. 409 pp. + 45 color plates. The pioneering Field Guide to the Birds of Hawaii and the Tropical Pacific, was the first comprehensive guide to the birds of the tropical Pacific. 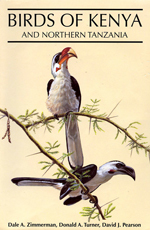 It was the first to illustrate and describe the vocalizations of many island endemics, and brought together much previously unpublished information on taxonomy, behavior, ecology, status, and conservation gathered over 12 years of ornithological exploration. 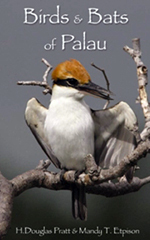 Originally conceived as a field guide only, this book has far exceeded the normal influence of such publications and become a standard ornithological reference in the region, and is cited in nearly every scientific paper on tropical Pacific birds. It has played a seminal role in increasing awareness of birds of the vast Pacific region among island residents, birders, and researchers. Roger Tory Peterson himself acknowledged that this book has become the “Peterson guide” of the Pacific, and, like the original Peterson series which many believe helped ignite the environmental movement in North America by making nature accessible to the layman, it has served to inspire and inform conservationists in the region. The book remains in print today, but is no longer advertised, and after 25 years of service, is long overdue for an update. For information on efforts to produce a new edition, click here. Finishing the new edition of this book is at the top of my personal “bucket list”. Phil Bruner and I both consider this to be our most important legacy because it could influence generations of ornithologists, birders, and conservationists. I hope we can find a way to get it done. PRATT, H. D. 2005. The Hawaiian honeycreepers: Drepanidinae. Bird Families of the World. Oxford University Press, Oxford. I consider this book the most important thing I have ever done as a scientist. Unfortunately, Oxford’s pricing policy, and their stinginess with review copies and advertising, has meant that fewer than 1,000 copies have been sold worldwide, with about a third of those sold by me to friends using my discount! Even libraries are reluctant to cough up the ridiculous king’s ransom price, so my magnum opus has become a major disappointment for me. Warning to other authors thinking of publishing with Oxford. 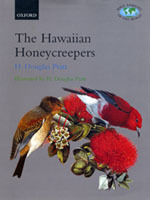 Review of "The Hawaiian Honeycreepers"
KEPLER, A. K. 2001. Family Todidae (Todies). Pp. 250-263, [1 color plate. ], SNOW, D. W. 2001. Family Momotidae (Motmots). Pp. 264-284, [2 color plates.] in del Hoyo, J. Elliott, A. & Sargatal, J. eds. Handbook of the Birds of the World. Vol. 6. Mousebirds to Hornbills. Lynx Edicions, Barcelona. HIGGINS, P. 2008. Genus Myzomela. [4 color plates], VAN BALEN, S. 2008. Family Zosteropidae (White-eyes). [6 color plates. ], In del Hoyo, J., Elliott, A. & Christie, D. A., eds. Handbook of the Birds of the World. Vol. 13. Lynx Edicions, Barcelona. PRATT, H. D. 2010. Family Drepanididae (Hawaiian honeycreepers). Pp. 618-659 in del Hoyo, J., Elliott, A. & Christie, D. A., eds. Handbook of the Birds of the World. Vol. 15. Lynx Edicions, Barcelona. Many years ago after the first couple of volumes of this massive work had been published, I wrote to the editors asking whether I might get in on some of the illustrating (I was freelancing in those days). I was surprised to receive one of those “funny you should ask” letters that said I had been one of a short list of artists originally considered for the project, but that they had decided to use only European illustrators because of problems with shipping the originals. But they decided to offer me (and eventually some other Americans such as Al Gilbert) some work anyway, and my first plates appeared in Volume 5 (Potoos and two hummingbirds). Since then I have had some work in most (but not all) volumes, including both text and illustrations for the chapter on Hawaiian honeycreepers in Volume 15. That may be my last contribution to what will be a fundamental reference for years to come. Actually, I hope they will go back and update some earlier volumes, and if they do, I hope to be a contributing artist. This is the book that made my name as a bird illustrator. When George Watson of the Smithsonian, father of the NGS guide, presented the idea to me, I was not much impressed because I thought that it would be an example of something put together by a committee and would not have the gravitas of the other guides at the time. I was wrong. When first planned, the book was to have two illustrators, me and Guy Tudor. After a year of planning and deliberating, Guy dropped out of the project for reasons of his own. To recoup lost time, NGS replaced him with two artists, Don Malick and Jon Janosik. Progress on the book continued to be slower than expected, and rather than push their deadline back, NGS kept adding artists to the team. In the long run, I still ended up with about a quarter of the plates in the first (1983) edition, and a few more in the second (1987), and most of them survive in the latest version. In the more recent editions, for reasons known only to NGS, some of my birds have been replaced by ones painted by other artists that are not, in my opinion, any improvement. Why they did not get back to the original artists for such replacements is a mystery to me. Still, it is an honor to have played such a large part in what became the most popular North American field guide. PETERSON, R. T., AND V. M. PETERSON. 2002. 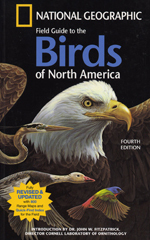 A Field Guide to the Birds of Eastern and Central North America. 5th Ed. Houghton Mifflin Co., Boston. [4 flycatchers, p. 229]. Roger Tory Peterson is probably more responsible than anyone else for the direction my life has taken. His books were among my first influences as a child, and he became something of a hero. The section on Hawaiian birds in his 1961 Field Guide to Western Birds had a lot to do with my future interest in Hawaii. So when his widow called me to ask if I would complete the last plate for the posthumous edition of his famous field guide, I was overwhelmed. The birds I did were all rather drab accidentals, but I was delighted to do them. These paintings have been dropped in the most recent iterations of the Peterson field guides, but I am still the only artist other than the great man himself to have bird paintings in one of his guides. It is a deeply gratifying honor. Pratt, H. D., and M. T. Etpison. 2008. Birds and Bats of Palau. Mutual Publishing, LLC, Honolulu. A few years ago I made the acquaintance via email of Mandy Etpison, a Dutch expat who married into a prominent Palauan family. She is a fantastic wildlife photographer who made her name shooting mostly underwater subjects. For the past few years, she has been concentrating on birds, and sending me unusual species she did not recognize for me to ID. Every email from her is like opening presents on Christmas morning, because many of them contain photos of new records for Palau or even the whole Micronesian region. When she asked me to write a text for her planned bird photo showcase, I eagerly said yes, and this book is the result. PRATT, H. D. 1999. 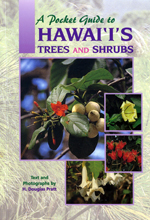 Pocket guide to Hawaii's Trees and Shrubs. Mutual Publishing, Honolulu. This little book and the following one, designed to fit in a pocket or backpack, have been consistent best-sellers in Hawaii. Eventually I want to expand the plant book, or do one for wildflowers, but for now this is the most complete popular guide to Hawaiian plants you can get. 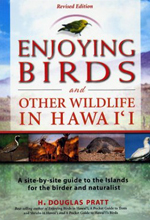 A new Pocket Guide to Hawaii’s Wildlife is in preparation. PRATT, H. D., and J. C. Jeffrey. 1996. 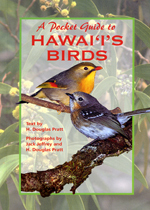 Pocket guide to Hawaii's birds. Mutual Publishing, Honolulu. It was never the intention of Jack Jeffrey and me to compete head-to-head with Hawaii Audubon’s Hawaii’s Birds. Both books are valuable, and they don’t really overlap. 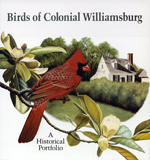 Ours focuses on habitats and ecology of birds, while the Audubon Society book is more of a traditional reference guide. Hawaii visitors will want both. 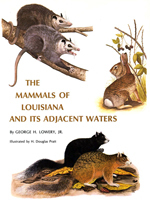 When I first went to LSU as a grad student, my major professor Dr. George H. Lowery was starting work on this book. At a seminar, he asked offhand whether John O’Neill, Jon Janosik, or I (all bird illustrators resident at the time) knew of anyone who could illustrate mammals. I had never done a mammal, but thought it couldn’t be that different from birds. So I did a few trial paintings, based on published photographs, and showed them to Lowery. He showed them to the Wildlife Commission, and they offered me the job of illustrating the book! It turned out to be a clinic in wildlife illustration because of the variety of drawings and paintings required, and became my first illustrated book. After this, my bird paintings were suddenly much better because of the techniques I had learned. Some of the mammal illustrations look a bit dated now, but I am not embarrassed by any of them. I met the legendary Phoebe Snetsinger when she joined a tour I led in Micronesia. Of all the participants, she was the only one to see all of the endemics. Later, I met and worked with her son Tom, who was a USFWS ornithologist working in Hawaii. After Phoebe’s tragic death, Tom told me that the family had discovered a journal she had secretly kept during her quest to see more birds of the world than anyone had before. He sent me the ms, and asked if it was publishable and, if so, would I illustrate it. Phoebe’s journal turned out to be a great read. She was a naturally gifted writer, and it needed very little editing. 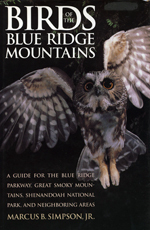 I assisted the family in contacting the American Birding Association, and the result is this book. I was excited to do this project because it gave me the chance to draw and paint some of the world’s most interesting birds. We decided to show the birds that Phoebe wrote something about (other than just reporting she saw it) plus those that were milestones such as her 100th, 2000th, etc. So it is an interesting mix of avian subjects and was a lot of fun to do. I try to update this guide periodically, and I am working on a new revision that I hope will be ready some time in 2012. It is currently out of print. Most of the info is still good, although the status of a few native species has deteriorated, but I have some new things to add. Also I have to redo all the localities serviced by the Saddle Road, which is being relocated. I was asked to do a few plates for this landmark book by Dale Zimmerman, who was having trouble with his eyes at the time. I had no experience in East Africa, so one of the perks of the job was a trip to Kenya with Don Turner as a personal guide. It doesn’t get any better than that! Later, I led two more trips there. 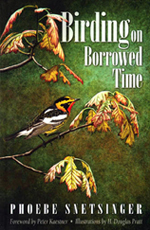 It was an honor to be asked to illustrate this book, by my Davidson College birding buddy Marcus (Mark) Simpson. All illustrations were drawings in graphite pencil. Mark is now talking about a new edition of the book, with possibly some new artwork. This is my first and, so far, only “coffee table book”. It was a unique experience for me because one of the requirements was that at least half of the paintings had to show some recognizable Williamsburg artifact. I made several trips at different seasons to CW to study and photograph buildings, fences, fence posts, street lamps, and other manmade objects as well as the plants of the area. The book is now out of print, but occasional copies are available on eBay.